Attorneys Joseph M. Powell and Aisha Farraj successfully subrogated against a New Jersey towing company that Powell & Roman alleged, inter alia, violated the Consumer Fraud Act. Following four days of trial, the towing company agreed to pay $95,000.00 to settle the subrogation action brought by Powell & Roman on behalf of the insurer and the Consumer Fraud action brought on behalf of a Chicago based trucking company. Powell & Roman alleged that the towing company took advantage of, and preyed on a family owned trucking company and the trucking company’s insurer, Those Certain Underwriters at Lloyd’s, London. The trucking company, delivering perishable cargo from Chicago to Connecticut, had the misfortune of getting in a motor vehicle accident on Interstate Route 80 in Rockaway Township, New Jersey. The New Jersey towing company, seeking to take advantage of an out of state trucking company and London based insurer, refused to release the cargo or trailer without payment in excess of $30,000.00. By the end of the ordeal, it took thirty-one days and two court orders before the trucking company, with the assistance of a sheriff’s officer, was able to retrieve the trailer and cargo. In addition, because of the towing company’s actions, frozen cargo valued over $33,000.00 was destroyed, and over the course of the month, the trucking company lost thousands of dollars in trucking delivery sales. Additionally, as it turns out, when Powell & Roman delved further into the case during the course of discovery, found evidence of billing and business practices that Powell & Roman alleged were deceptive, untruthful, excessive, and in violation of the Consumer Fraud Act. 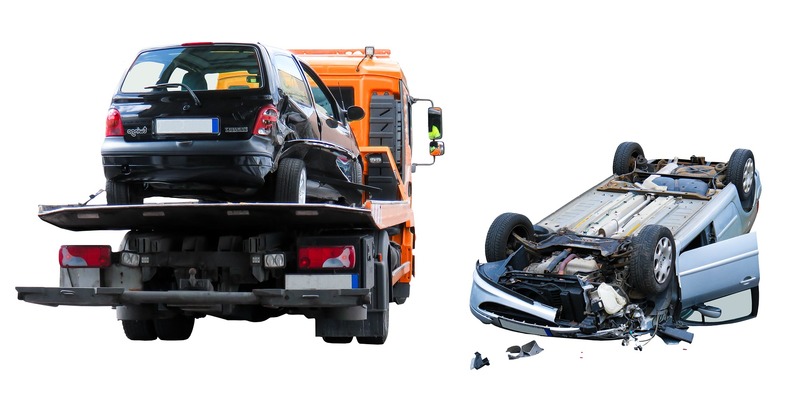 If you were involved in an automobile accident and believe that you were charged excessive towing charges, or you are a trucking insurer which deals with unscrupulous towing companies and this story is all too familiar, contact Powell & Roman for a free consultation.